I wrote an uninformed blog post after reading articles reviewing Google Wave. I’ve deleted it. Herewith, I hope, a more sensible post written after viewing the Google Wave video that was shown to developers. Although the articles I read were well written I got no sense of the likely paradigm shift until I saw the video. 1. Video communication is much more powerful than a good review. 2. Watch the video if you want to understand this technology. 3. Bret is a schmuck. So Wave is an exciting technology and it will profoundly affect web communication. It’s a new communication platform that simply and elegantly integrates email, IM and applications. But there are four significant technology shifts in the way that it works. It talks to a web browser on virtually a real-time basis, allowing you to update a web site (text, photos, video) from your desktop and vice versa. And not just your desktop. Everyone who’s on the Wave. It offers document management improvements over conventional email. There is a very intuitive edit-tracking mechanism called Playback which leaves MS Word for dead. Developers can write applications for Wave that enhance email and collaboration. That sounds glib. But in the first place, they’re turning email into live IM and in the second place they’re allowing developers to write applications that run inside your email client. We’re used to email as a stand-alone tool but Wave lets you put the widgets you see on a web site inside the email client. 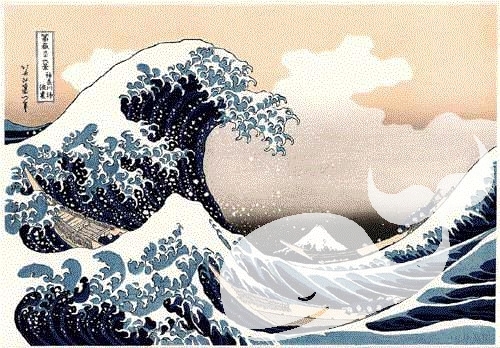 The open APIs potentially allow other web applications to run within Waves. Not only can you can update Twitter from your desktop, you can search it from your desktop and pull your Twitter followers into a new conversational or photographic Wave you’ve created. The organisational concepts for Waves are intuitive. Lots of stuff just happens, lots of drag and drop and lots of search functionality. Wave won’t be live until later in the year, but developers already have access to code and the APIs. So what’s it good for? It’s an improvement in collaborative work applications and has the capacity to seriously knock around Sharepoint. It is the first improvement on MS Outlook partly because it breaks down the barrier between email and web browser. And it looks like everyone’s desktop in 2010. Previous Article← What is Twitter good for?